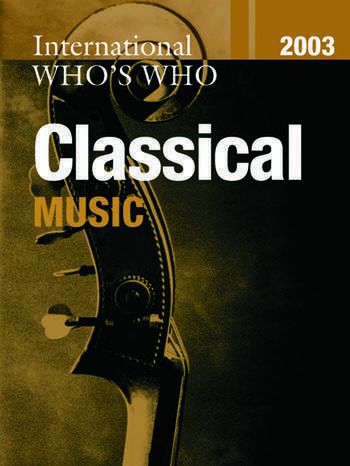 A complete biographical reference work covering all aspects of the classical music world. * Includes up-and-coming musicians as well as well- established names. * Lists Masters of the King's/Queen's music.